Is the Fujifilm GFX 50R good for Street Photography? Fujifilm GFX 50R has a score of 73 for Street Photography which makes it a GOOD candidate for this type of photography. 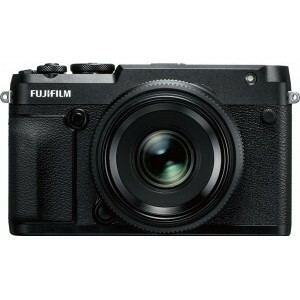 Fujifilm GFX 50R will satisfy most of your needs, but if you are looking for a camera that is even better suited to Street Photography, we recommend you to check the Alternative cameras at the bottom of this page. Large sensor in Fujifilm GFX 50R ensures a good low light image quality compared to smaller sensor, and it also provide shallow depth of field and a nice blurry background when needed. Mirrorlessbody of Fujifilm GFX 50R is a good combination of relatively small size and good handling camera, without giving the impression of a professional camera. Due to the lack of sensor based Image stabilization, Fujifilm GFX 50R users have to rely on lenses with optical IS in order to maximize the sharpness of their handheld street photography photos. Currently there are native Fujifilm G mount lenses with Image Stabilization for Fujifilm GFX 50R.